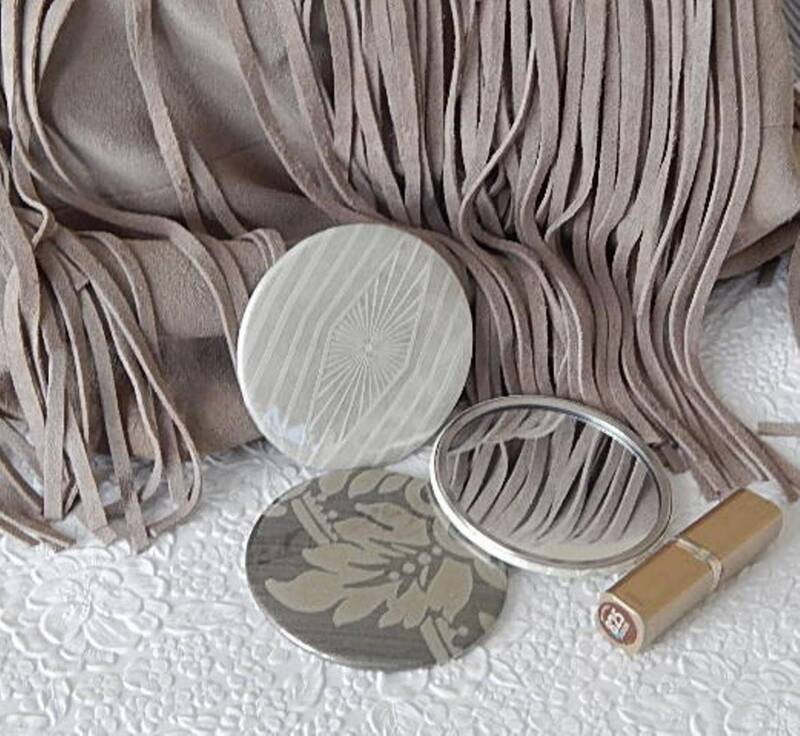 Taupe pocket mirrors with a art-deco starbusrt design. Pop one in each bag or give as girl night out/bridal gifts. Each measures 3.5 inches and is covered in protective mylar plastic. Mix and match with other designs available. Price per mirror.